It was a pretty good week for me - it's starting to cool down in sunny Arizona finally, so it doesn't feel like walking into a life sized pizza oven every time I open my front door. You dread the walk from the parking garage to your car, knowing you will be a sweaty mess by the time you get to your office. Then you get to put on a sweater, since every building in Arizona is kept around 70 degrees from June to September. If the zombie apocalypse ever hits, I'm heading east quick. No human could live here without air conditioning. I've read some great books this week - And congratulations to Brooke, who won a copy of A Window Opens by Elisabeth Egan! I love doing giveaways. One part of fall that I love is the new seasons of good TV. I don't watch a ton of television, but there are some shows I love. I'm looking forward to the new episodes of The Affair, and I just watched the first episode of Scream Queens, which cracked me up! I've been watching The Mindy Project on Hulu - I was so bummed that it got cancelled by Fox. I need to pick up Mindy Kaling's new book. Right now, I'm reading the new Kate Morton book, The Lake House. It's as awesome as I expected, so that review will be coming soon. I only added a few new books this week, as my TBR is getting out of control again. I always know it's fall when the ARC's of Christmas books start coming in. That's one of my favorite parts of Christmas - snuggling in with a Christmas chick lit book, you know it's going to be a happy ending! 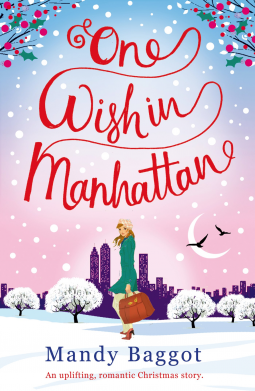 One Wish in Manhattan by Mandy Baggot.....It’s the most wonderful time of the year . . . to fall in love. 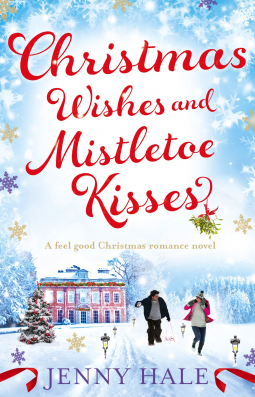 family Christmas… and the rush of falling in love under the mistletoe. The Opposite of Everyone by Joshilyn Jackson....Born in Alabama, Paula Vauss spent the first decade of her life on the road with her free-spirited young mother, Kai, an itinerant storyteller who blended Hindu mythology with Southern Oral Tradition to re-invent their history as they roved. But everything, including Paula’s birthname Kali Jai, changed when she told a story of her own—one that landed Kai in prison and Paula in foster care. Separated, each holding her own secrets, the intense bond they once shared was fractured. The Year of Necessary Lies by Kris Radish....One amazing year in a remarkable woman¹s life journey becomes the inspiration for generations when she takes a huge risk, follows her heart, embraces forbidden love, and unwittingly becomes the champion of a winged world that is on the brink of extinction. It’s 1903, the world is poised for drastic change, and Julia Briton is a naive, beautiful Boston socialite who suffers a series of devastating losses and discovers that her beloved husband is involved in the plume trade—the massive slaughter of birds for use in the fashion industry. When Julia is secretly ushered into the early 20th century by a group of brazen female activists, she boldly risks everything and embarks on a perilous journey to the wilds of untamed Florida, a place of great danger where men will stop at nothing to get what they want and where one man, and a faithful friend, force her to make yet more life-changing decisions. Years later, when Julia’s great-granddaughter, Kelly, discovers some hidden tape recordings in her famous great-grandmother¹s dresser and learns the real truth about Julia’s year, a year that changed the course of history, she must decide what to do with her grandmother¹s incredible legacy. Will she keep the real “secret of the year”, or will she be brave enough to follow her own heart?